219 West – May Episode is Up! I woke up early this morning (before 6AM) and couldn’t sleep. So, I thought I’d check to see when the July episode of “219 West” will air since I’m in Canada and can’t see it on TV here. (I will have two packages air in July, so I will let you know when it’s up so you can check it out!) I was excited to see that CUNY-TV got a facelift and the new and improved site now shows entire episodes instead of just packages. So, check out the May episode that I hosted and learn something new about health! It’s finally up! You can now watch the news packages aired on CUNY-TV’s news magazine show “219 West” (s.3 ep.2) I anchored here. I will soon post a reel with the intros I did for each package, as they are not posted online. For now, I hope you enjoy my interview (below) with the Well-Being Ninja (Twitter: @WellBeingNinja)! Did you catch me on TV today? 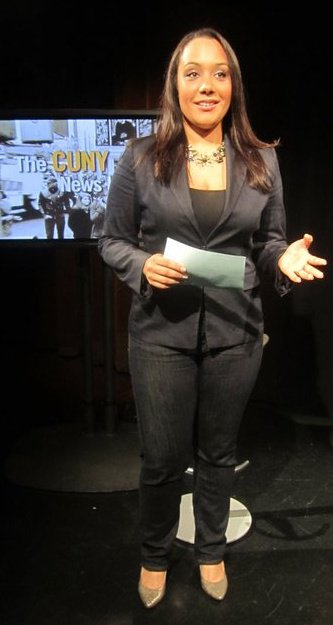 I just had the most surreal moment as I watched myself on TV, anchoring April’s episode of “219 West,” CUNY-TV’s news magazine show produced by the CUNY Graduate School of Journalism! Anchoring the newscast for my Broadcast Craft class...as the April episode of CUNY-TV's "219West" program I anchored aired. If you missed it, no worries…it will air again on 4/16 at 8pm and 4/17 at 10am on Channel 75 (Time Warner Cable). If you live outside of the New York City area, do not fret! I will be sure to post clips from the show here on NativeJournalist.com as well as on my website AmyStretten.com! Many thanks again for all of your support! 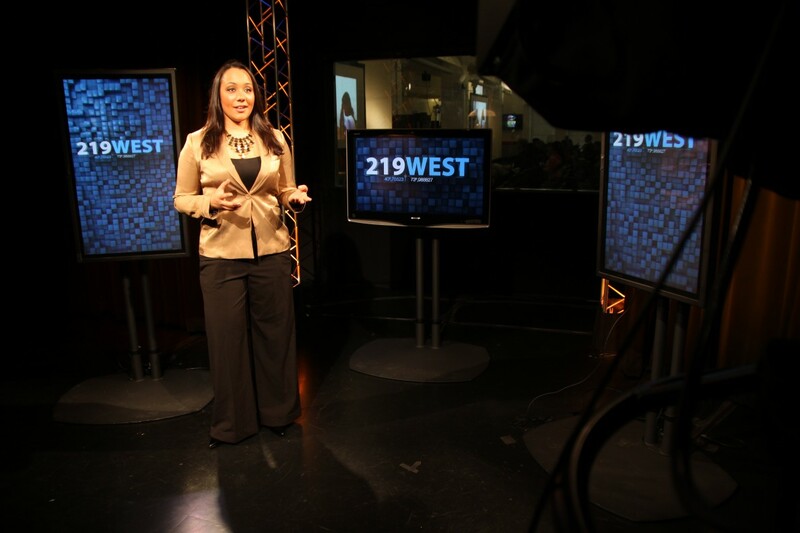 Watch CUNY-TV’s “219 West” next week! Amy Stretten on CUNY-TV's news magazine show "219 West"
Hello to all of my loyal followers! My apologies for the lack of content on NativeJournalist.com over the past several months! I have been very busy, as you may know, studying at the City University of New York Graduate School of Journalism. I have spent nearly every waking moment producing news packages for both TV and radio, photo slide shows, and print articles for each of my classes. I have tried to keep you in the loop by tweeting (@amystretten) news I wish I had time to blog about, checking in on Foursquare (@amystretten) everywhere of interest that I visit, and have recently created a “clips” section for my published work and a “work samples” section to show the work I have most recently produced (here on NativeJournalist.com). I am happy to announce that I will be hosting April’s episode of “219 West,” CUNY-TV’s news magazine show which will air next Wednesday, 4/13 (on TWC Ch. 75) at 10am, 3pm, and 11pm. It will air again on 4/16 at 8pm and 4/17 at 10am. I will be introducing various news stories throughout the show and will be interviewing Elizabeth McGann, the Well-Being Ninja, a holistic health coach based in New York City, about how we can all live balanced lives on a budget. For those who live outside of New York City, I will post a link to the episode so you can view it online as soon as it is made available. Thank you everyone for all of your support thus far! Being given the opportunity to host this program was a dream come true. It feels so good to be doing what I’ve always wanted to!